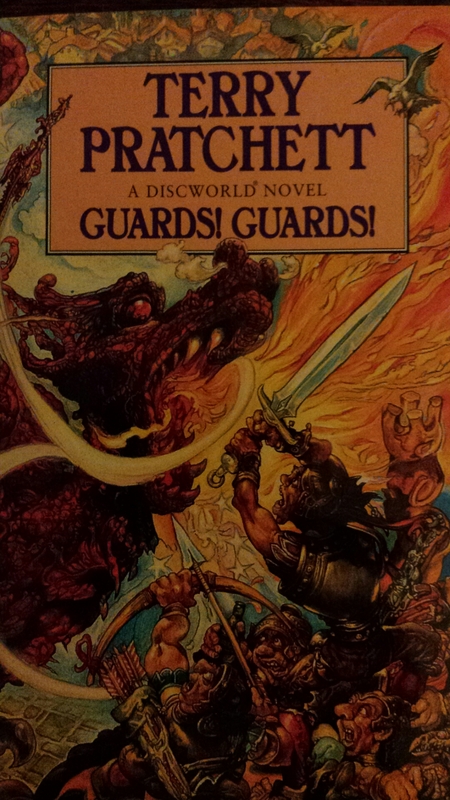 I can still remember my first Discworld book; I guess I was about 10. My older brother had been reading this book called Pyramids and it seemed impossibly grown-up and mysterious. Being a typical younger sister I, of course, filched it at the first opportunity so that I could read it and be equally mature. I didn’t really understand much of it, but I do remember thinking that the assassins academy seemed much more fun than going to double maths on a Friday. It was to start a joyous voyage of discovery into the incredible land of the Discworld that I have been on ever since. Pratchett was able to create great characters and fantastic plots that engaged so many different people. In the pre- Kindle days, when you could see what people were reading on the train, I’ve had fierce debates with complete strangers over whether the City Watch books are better than the Witches books, or if the Death books reign supreme. For me, the best books were the Witches stories set in the remote Ramtop mountains. 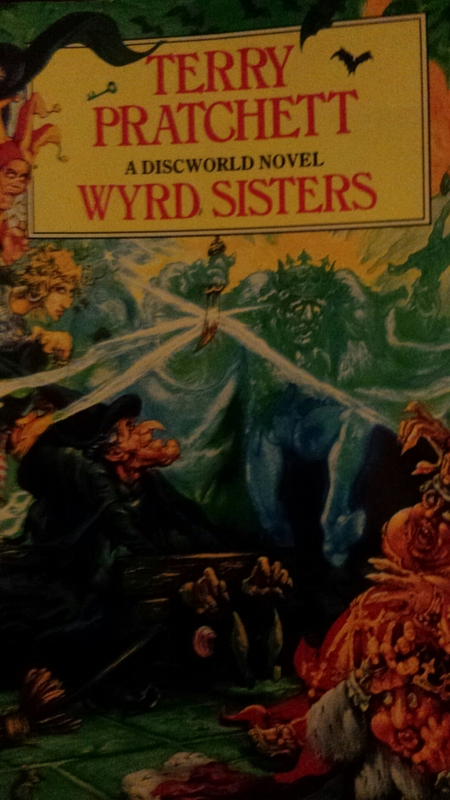 Wyrd Sisters is an absolute beauty of a book. I adore Granny Weatherwax. She is probably my favourite character in fiction. I still aspire to her fierce independence, iron spirit and strength of personality so great that nothing could stand in her way. But then again, I also love the scurrilous Nanny Ogg, and the combination of the two of them with the sweetly idealistic Magrat is irresistible. But, although the Witches won me over, I also love the other books. I’ve felt like the world-weary but dogged Sam Vimes and I do enjoy a certain schadenfreude watching the struggles of the hapless Rincewind (whose point of view I appreciate more with age! ), and I every time I see any writing in capital letters, in my mind it is being said by Death. The great thing about the Discworld books is that although Pratchett satirised the world he did so affectionately. There is a compelling vein of silliness in the Discworld from the vampires who have sworn off blood, to the imps that live in cameras and paint pictures when you press the button (I think my Dad might believe that this is actually how cameras work) and the shelter for abandoned dragons that is too reminiscent of the Battersea Dogs Home for comfort, there are so many examples of little pieces of nonsense that just run through every page. And as Pratchett expanded his exploration of our world, he expanded the locations on the Disc and he made them all, from Ankh-Morpork to the Counterweight Continent or mysterious Uberwald, so vivid to me that I could lead tours around them. But, for me, the best thing about the Discworld books, and which made Pratchett so brilliant, is that as I grew up so did my understanding of the Discworld. The brilliant satire was initially lost on junior me, who simply loved the rollicking stories, but that just meant that every re-reading brought me more understanding and further insights. And it wasn’t just social commentary, there were so many sly references and a joyous love of language. I remember being in my early 20s before I realised that ‘widdershins’ wasn’t a word Pratchett invented. I remember reading other books and then suddenly ‘getting’ other references; seeing Phantom of the Opera suddenly made sense of Masquerade. Reading Macbeth at GCSE was much more fun when you had Granny Weatherwax in mind. I’m sure that for years to come I will still be unravelling the Discworld and enjoying each book more with every reading. QUITE SO. Death grinned because, as has so often been remarked, he didn’t have much option. But possibly he meant it, this time. I PREFER AU REVOIR, he said. Tags: book, books, Discworld, Terry Pratchett, Wyrd Sisters. Bookmark the permalink. Well, how else do all those coloured pictures get into a camera? Lovely blog. Pratchett had a lot to feel proud about. Well, how else do all the coloured pictures get into the camera? Great blog. Pratchett had a lot to be proud of. The power of a good book! A great tribute, Kate. Pity that you’re father is now struggling with the concept of photography – if not an imp, what else is small enough to fit inside a camera?